Our dedicated Africa Country Committee Members live or work in countries we serve. They source or review grant applications and provide technical support for our grantees. Collins O. Airhihenbuwa PhD, MPH, is Professor and Dean of the College for Public Health and Social Justice, Saint Louis University, Saint Louis, Missouri. He is a global expert on health behavior with a track record on the central role of culture in health behaviors. He has led research collaborations, institutional partnerships, and mentoring of faculty and professional staff at various institutions globally. As the author of PEN-3 model his work has informed ways of addressing the intersection of culture, identity, and health globally. He is a consultant to several UN agencies including WHO, UNAIDS, UNESCO, UNICEF, UNFPA. He led one of the earlier WHO efforts to galvanize multi-disciplinary efforts to address HIV and AIDS in Africa. He is the lead author of the Communications Framework for HIV and AIDS (the UNAIDS Communications Framework for HIV/AIDS: A New Direction, 2000); sponsored by the Joint United Nations Program on HIV/AIDS (UNAIDS) involving 103 researchers and practitioners from 5 continents with the final report translated into French, Spanish and KiSwahili. He has authored over 120 articles, book chapters, and books. Books include Health and Culture: Beyond the Western Paradigm (1995); Healing Our Differences: the Crisis of Global Health and the Politics of Identity (2007); and Ethnicity: Theories, International Perspectives and Challenges (2013) co-editor (with Agyemang and de-Graft). He chairs the Advisory Board of the Global Philanthropy Alliance which funds projects in South Africa, Kenya and Nigeria. He has been a member of the Board of Scientific Counselors of Centers for Disease Control and Prevention. He is a former President and Distinguished Fellow of the Society for Public Health Education. He is a fellow of the American Academy of Health Behavior and the Academy of Behavioral Medicine Research. Until December 2015, he was Professor and Head, Department of Biobehavioral Health, The Pennsylvania State University and Director of the Pan University Network for Global Health. MTVShuga Series 4 in 2015. He’s currently Head Writer/Story Editor for Mnet’s latest series HUSH. 2. Now We Are Married – Director, Television Drama, 18 episodes, 2009/2012. 4. Big Daddy, Writer-Director-Producer, Short Film (12Mins). 2011. 5. It Happened to Me – Director. Short Film (15mins). 2013. 6. MTVShuga – Producer. 2014. Serving as the Country Director for Christian Aid UK, Nigeria country program, Charles leads a team of 290 experts delivering life changing interventions for poor and marginalized Nigerians. Responsible for Christian Aid’s operations in Nigeria in the areas of: Accountable governance; Community health and HIV; Humanitarian response; and Gender. Before joining Christian Aid in June 2007, Charles was a National Specialist for Action Aid International, supporting the roll out of the REFLECT and STAR community empowerment approaches to tackle HIV in Nigeria. Prior to this role in Action Aid which began in January 2005, Charles was a team leader heading the child survival and youth empowerment for Care for Children Project- an Initiative of the Justice Development and Peace Commission (JDPC) Jos, Catholic Archdiocese of Jos. The role with JDPC Jos, was initiated in 1996 were Charles joined the JDPC as a community mobilization volunteer. By 1999, Charles had advanced into a project officer responsible for the widows and child development project where he delved deep into researching and strengthening community development structures, applying emerging concepts and approaches to lift poor people out of poverty in empowering ways. Charles has supported several National and State led processes as a consultant/specialist during these years of his professional development, such as; supporting UNICEF to set up preliminary baselines for WASH facility in Yobe and Kano States; Technical researcher for the Capacity for Universal Basic Education in Plateau State; National Trainer for Action Aid on HIV,STAR and REFLECT; Technical lead trainer for MSH OVC project and Lead consultant for the Adolescent school project in Kaduna and Plateau States for the National Popular Theater Alliance (NPTA). Charles holds; a Masters of Arts in Environment, International Development and Policy from the University of Sussex, United Kingdom made possible as a Chevening scholar in 2012; a Master’s of Science in Health Policy and Planning from University of Benin (still in view-dissertation not submitted), Edo State Nigeria; a Bachelor of Science in Geology and Mining from University of Jos, Plateau State Nigeria; Certificate in Energy for sustainable development from Lund University, Sweden; Certificate in Financial Management for NGOs from MANGO, Oxford, United Kingdom; Certificate in Building a better Humanitarian response from Humanitarian Academy at Harvard, United States; Certificate in Global Disaster Risk Reduction and Management Pathway from the Humanitarian Leadership Academy. A member of the Institute of Strategic Management, Nigeria; Charles is also a member and current Electoral Committee Chairman of the British Government Chevening Alumni Association of Nigeria (CAAN); Charles is honored to sit as a board member to two local charities in Nigeria. A scholar at heart, Charles is currently a Doctoral applicant/researcher in Environmental health programming in Nigeria. In 2016, the British Government through the British High Commission in Nigeria presented an award in Excellence in Social Development in Nigeria to Charles. Charles has defined himself as an Environmental Health expert, life coach, behavior influencer and fitness trainer. Charles is married and is blessed with two kids. A Christian whose life is centered and defined by the fear and love of God. Charles believes in life after death, but hugely influenced by Christian Aid’s motto: “We believe in Life before Death”. This paradigm ensures that while I strive and support other people to aspire for eternal fellowship with God someday in Heaven, that people also by right are entitled to live a decent, honorable, fulfilling and pleasurable life, here on earth before they die. So the work continues!!! Amy Oyekunle is a gender and development professional with experience in gender research, resource mobilization, donor relationship, project management and community mobilization within Nigeria and beyond. She joined Wellbeing Foundation as acting CEO and previously worked as an independent consultant for international and national organizations, such as Save the children, the British Council, Global Fund for Children, Poverty Alleviation and the Federal Ministry of Women Affairs. An ardent advocate for gender equality and social justice, Amy is a member of the African Feminist Forum (AFF) and Nigerian Feminist Forum (NFF). Amy has a MA in development studies from the University of Leeds, UK, postgraduate diploma in management from the Leeds Metropolitan University and a Bachelor of Science in sociology from the Ahmadu Bello University, Zaria. When Ayeni Adekunle, a public relations practitioner, journalist, scientist and businessman founded the All You Ever Need In (A.Y.E.N.I) Entertainment, he thought he was starting a modest company that will cater for the local entertainment market. Little did he know that he was building an institution that will not only dominate media and entertainment but will also deliver disruptive services within the public relations and marketing communications community. From a one-man entertainment company in November 2006, A.Y.E.N.I Entertainment grew to Black House Media (BHM), a full scale corporate and marketing communications company in 2009 and today, one of the continent’s most promising PR firms, involved in reputation management, consumer engagement, content development, digital assets management, research & intelligence and media relations. The company employs over 60 full time staff, and dozens of roving consultants in Nigeria, Kenya, London, Germany and many other countries around the world. Before founding BHM, Ayeni was a renowned journalist with some of Nigeria’s most respected news platform including Encomium, Punch, Thisday and Africa Report. Since starting BHM, Ayeni has worked with some of the biggest brands in the Nigerian market and has also been invited to speak at numerous conferences and workshops including Lagos Business School Pan African University, PRCAN, APRA Mauritius, The Network Conference, British Council, The Dangote Group, Creative Enterprise among many others. He is also founder of Nigeria’s premiere entertainment website -Nigerian Entertainment Today, as well as the umbrella entertainment conference for Nigeria’s creative sector – Nigerian Entertainment Conference. In 2015, he founded the digital communications and content marketing agency, ID Africa, following up in 2017 with the consumer tech product, Plaqad, a content exchange platform providing opportunities between marketing professionals and business owners, and web and social media platform owners in an easy, affordable marketplace. In 2018, the group launched Africa Creative Foundation (ACF), a not-for-profit organization set up to drive the actualization of its dreams for the industry. Black House Media adopts what it calls the policy of 3Cs of Capacity, Convenience, Compensation which puts its people before profit, integrity before image, and unlimited possibilities before general platitudes. This pro-employee policy earned it the Best Agency to Work award in the Nigerian Institute of Public Relations (NIPR) Lagos State Chapter awards in 2017. BHM also won the Agency of the Year category in 2017 at the NIPR Lagos State Chapter awards, in recognition of it strides in the Marketing communications sector in Nigeria. Ayeni is a member of Public Relations Consultant Association of Nigeria (PRCAN), and Nigerian Institute of Public Relations (NIPR). He sits on the board of many companies, including F316 Consulting, 618 Bees, and PinPoint Media. Lindiwe Sangweni-Siddo has been in the hospitality industry since 1987 when she studied at the renowned hospitality school, Ecole Les, in Switzerland. Upon completion of her Diploma in Hotel Management, she furthered her studies at Penn State University and obtained a BSc in Hotel, Restaurant and Institutional Management (HRIM), and graduated in 1993. Her career in the hospitality industry began with Hyatt Hotels at the Grand Hyatt Washington DC in 1993 as an intern. She then joined the Park Hyatt Rosebank in 1995 as part of the management team, and quickly rose in the ranks to join the Executive Committee as Rooms Director until 1999. Lindiwe joined the Department of Environmental Affairs and Tourism (DEAT) as Chief Director of Tourism Support in 1999 and remained there for a year, before being drawn back into the hospitality industry by Southern Sun Hotels as General Manager of the InterContinental Sandton Towers Hotel. Five years later, Lindiwe embarked on a new journey, and followed her entrepreneurial spirit to star her own hospitality company, Zuka African Tourism Investment Corporation (ZATIC). This led to her developing and operating the first Holiday Inn in Soweto in 2007, which she later renamed, the Soweto Hotel and Conference Centre. Lindiwe has been a shareholder and Managing Director of the Birchwood Hotel and OR Tambo Conference Centre from 2011 to 2015. More recently, she has joined the City Lodge Hotel Group as Operations Director. She remains a Director and Shareholder of the Soweto Hotel and Conference Centre. She is also a Board Member of the Africa Advisory Board of the Global Philanthropy Alliance, and the Chairperson of the Schauenberg Educational Trust. In her spare time, Lindiwe spends time with her husband Salifou and her family. Sibongile (Bongi) Mkhabela is the Chief Executive Officer of Nelson Mandela Children’s Fund. Bongi is also Chief Executive Officer of Nelson Mandela Children’s Hospital Trust whose mandate is to design, build and operate a tertiary and quaternary academic referral pediatric hospital to serve all children of Southern Africa, irrespective of their socio-economic status. Bongi has an Honors degree in Social Work and several graduate diplomas and she gained immense experience in development issues nationally and internationally whilst serving as a UNDP (United Nations Development Programme) consultant to help establish its presence in South Africa. Bongi is also the Chairperson of Black Sash. She is presently a non-executive director of Barloworld. Bongi is also a Fellow of the Joel L Fleishman Civil Society, Duke University, North Carolina USA. Bongi has published a book Open Earth Black Roses based on her role in the June 1976 Soweto Student uprising. Mohlopheni Jackson Marakalala was born in Mokopane, South Africa. He is currently a senior lecturer and a group leader at the University of Cape Town, with research interets in Immunology and Infectious Diseases, Tuberculosis Biomarkers and Host-Directed Therapies. He has presented his research in local and international conferences (over 10 countries), and published in leading journals, including Nature Medicine, PNAS, Plos Pathogens and Cell Host Microbes. His vision is to increase educational opportunities in Africa to help solve local challenges. He also intends to increase research capacity building in Africa, by training PhD students from previously disadvantaged community. His personal awards include SA Medical Research Council Scientific Merit award for outstanding young scientist (2016); UCT 2016 College of Fellows Young Researcher Award. He was named a Fellow of the Next Einstein Forum (2016), which is awarded to 15 young scientists throughout Africa, who are using science as a platform to solve global challenges. He was also honored as a World Economic Forum (WEF) Young Scientist, at the WEF New Champions meetings in Dalian, China (2015), and in Tianjin, China (2016). He was the recipient of the Sydney Brenner Fellowship (2010-2012) that is awarded by the Academy of Sciences of South Africa to an outstanding young scientist working in South Africa. He was awarded the Bronte Stewart Research Prize for the most meritorious PhD thesis in the Faculty of Health Sciences, University of Cape Town, 2008. He recently received the Wellcome Trust Intermediate Fellowship in Tropical Medicine and Public Health. Faith Audi currently works as a Finance and Human Resource Manager at Gearbox Limited a makerspace that promotes and assist young entrepreneurs in building up their start-ups by providing access to high quality prototyping equipment, training in fabrication and design. Prior to joining the innovation space, she worked with an NGO that promoted Economic, Social and Cultural rights. Joining the Tech and innovation world has provided numerous opportunities including being a lead Juror in start-up competitions among them E4IMPACT challenge in collaboration with Tangaza University which sees the winners getting Entrepreneurship skills through scholarships into the MBA program and also are get access to investors. Being a very passionate person about education, Faith holds a Bachelor’s degree in Human Resource Management, and is currently pursuing 2 masters Degrees one on Strategic Management with the research paper around Core competences and the Performance of startup companies in Nairobi Kenya from Kenyatta university and another from South Wales University in UK. She also has a vast knowledge and experience in Financial management. 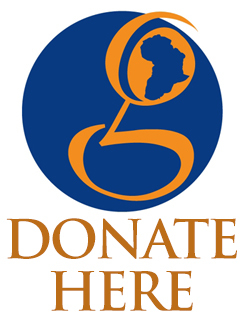 100% of all donations are utilized for grants in Africa. They are not used for administrative costs or overhead. To date Global Philanthropy Alliance has made 61 grants totaling over $351,000 providing opportunity to over 16,000 youth in Kenya, South Africa and Nigeria. Read more about our grantees.